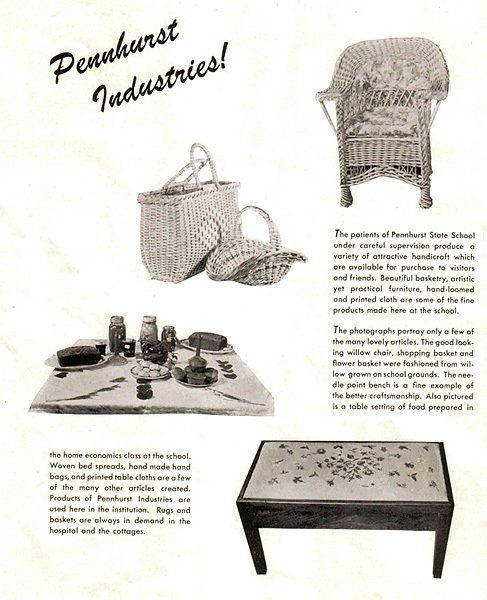 This page from the 1954 info booklet showcases Pennhurst resident handiwork. Heartbreaking to see the talent some of the patients had. To bad they were locked up and not out in the real work making a living by selling their talent. So... domestic slave labor. The institution could have been shut down on those grounds ALONE if anyone cared enough about the patients.